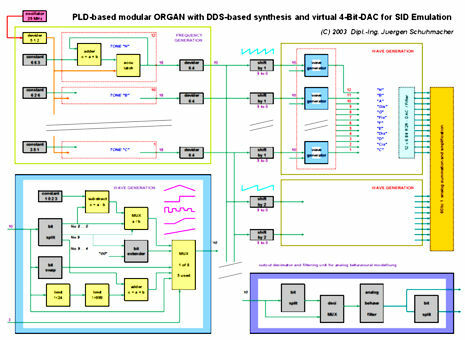 This is a setup of my DDS-based sound generation used in my PLD-ORGAN 2003. 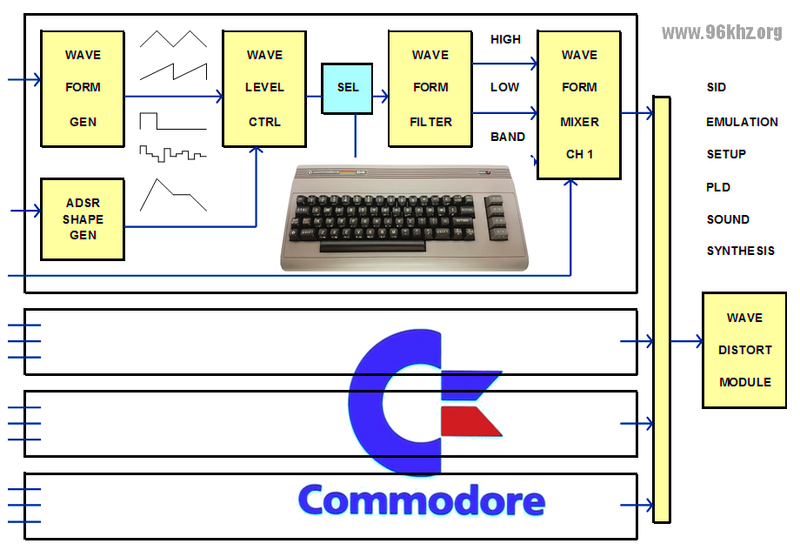 The sound module is changed that way that it emulates the famous SID in the Commodore 64. The fundamental waves are TRIANGEL, SQUARE, SAWTOOTH + NOISE. Filtering and some analog behaviour is included too to tweak the sound. Also a simple version of the distortion module is integrated. The R2R-DAC has been replaced in order to use PDM-output. The circuit design has first been made for a Xilinx XC4000 PLD and then ported to the new Spartan 2 FPGA.